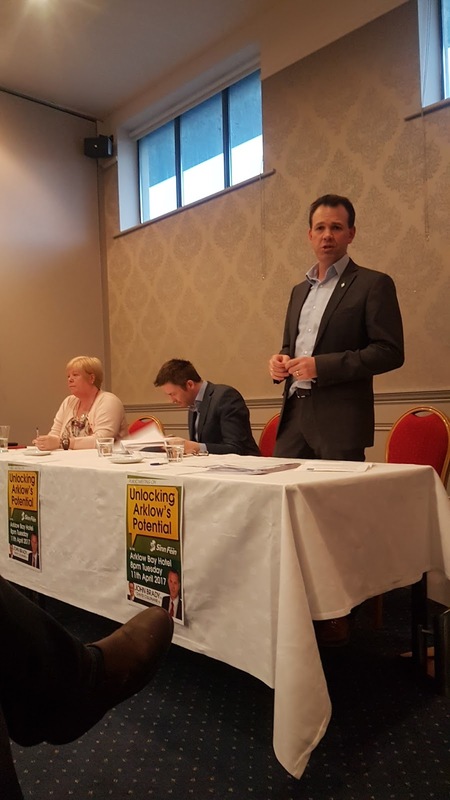 Sinn Féin TD for Wicklow/East Carlow John Brady has thanked those who attended his public meeting on Unlocking Arklow’s Potential on Tuesday night. The meeting heard from Sinn Féin’s spokesperson for Public Expenditure & Reform David Cullinane TD and local Councillor Mary McDonald. “Ahead of the last general election, I made a commitment to the people of Arklow that I would put a spotlight on Arklow, something that successive public representatives at a national level have failed to do. “I was delighted with the attendance at the public meeting on Tuesday night and the positive contributions and ideas put forward by locals for the future of the town and surrounding areas. “I held this meeting as part of an economic development plan for Arklow that I have been working on for a number of months. While, I have been meeting with a number of organisations and enterprises, I was eager to engage with and hear from the people of the area who are crucial in the development of any plan for Arklow. “The submission process is still underway and I welcome any submissions from the public in writing to 18a Upper Main St, Arklow or by email to john.brady@oireachtas.ie before April 30th.